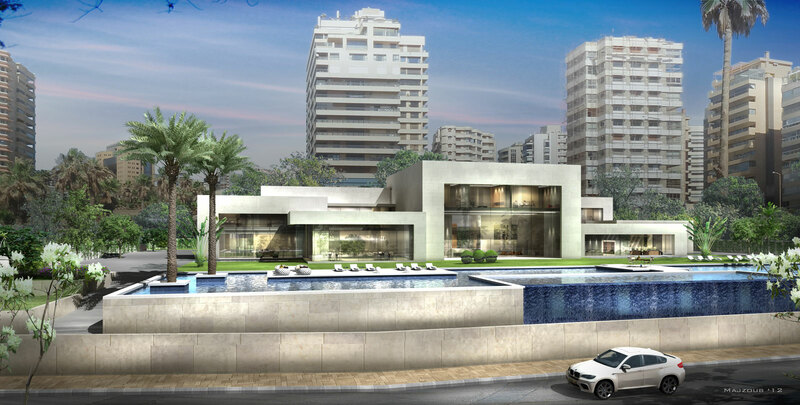 This prize-winning project is located in Ramlet el Baida, one of the most expensive real estate districts in Beirut. The urban fabric here consists mainly of luxury high-rise residential buildings. 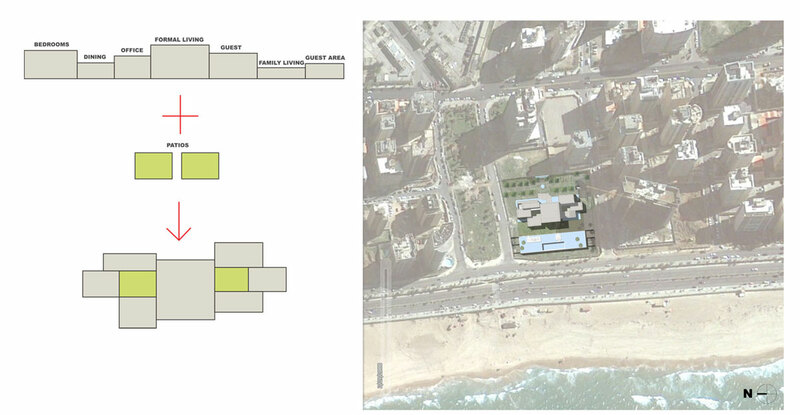 The design strategy was enabled by the favorable beachfront location, considerable plot area (9000 sqm), and the high expectations of the client regarding the concept and program of the project. 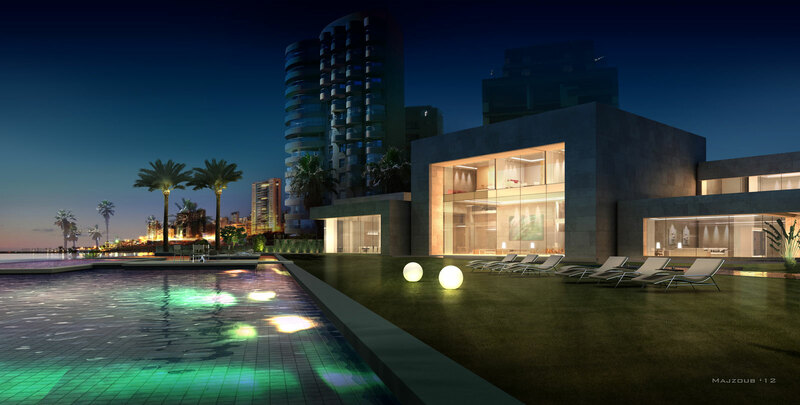 High-rise buildings surround the plot on three sides; the fourth faces Beirut’s seashore. The challenge here was to include all of the client’s requirements while providing enclosure and privacy within this specific urban context. 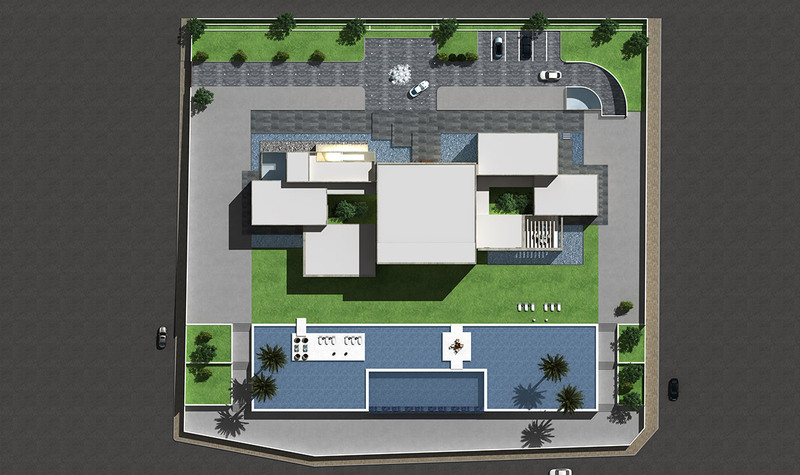 The design consists of a series of solid boxes opening onto two internal courtyards. These act as a sort of ‘urban window’, allowing the project to breathe and connecting it to the environment. Each of the various boxes has a specific function. 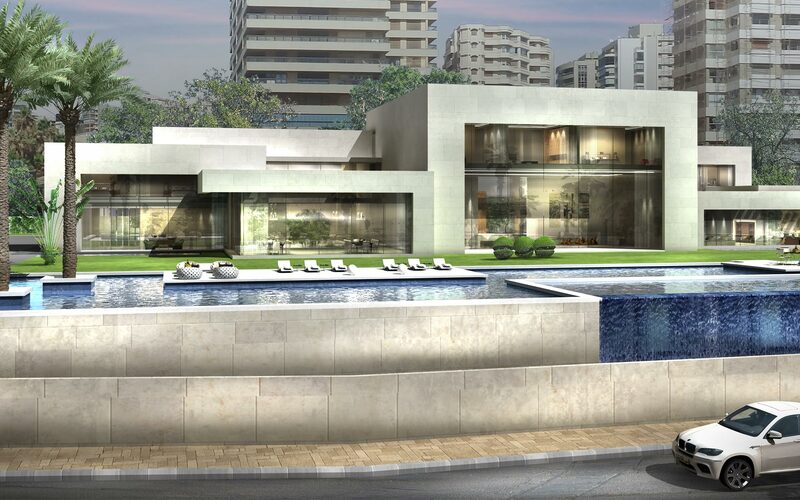 On the ground floor the reception and living spaces face a large, landscaped garden that ends in an infinity pool. The request for the presence of water occasioned a ‘water path’ from the entrance to the swimming pool, creating flow between the interior and exterior. Given the varying heights of the different boxes, the architectural design needed a mid level to shield the bedrooms and guest areas of the house. The master bedroom takes up the first floor. 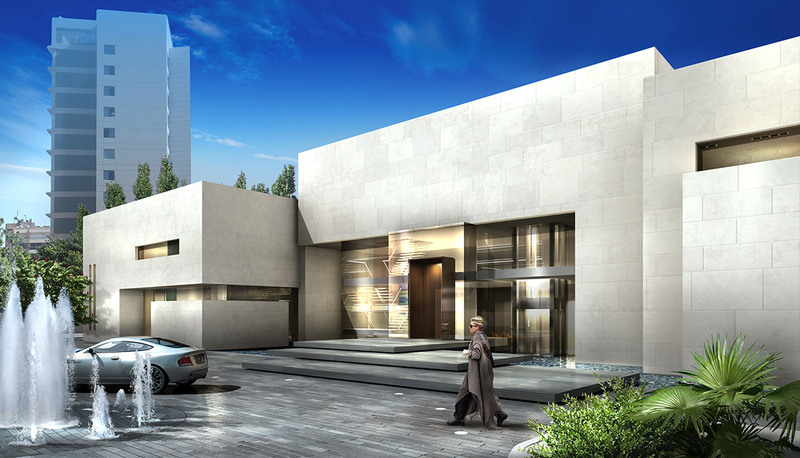 Bright local stone and glass were chosen for the façade to merge the project with its surroundings and emphasize the volumetric composition.